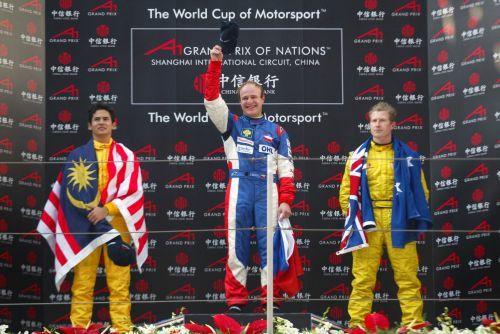 The Czech Republic became the eighth nation to win an A1 Grand Prix event, crossing the line first at the end of the Shanghai Feature race. 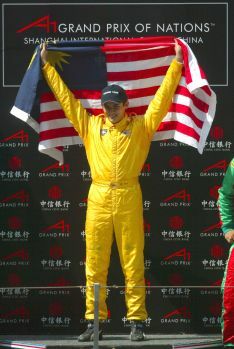 Snatching first place from Sprint race winner, Malaysia’s Alex Yoong who still managed to retain second ahead of Australia’s Ryan Briscoe who had his first podium finish of the season, the third for the team. All 22 cars made a clean start to this afternoon’s Feature race going straight into battle for vital points in the last race of the season. 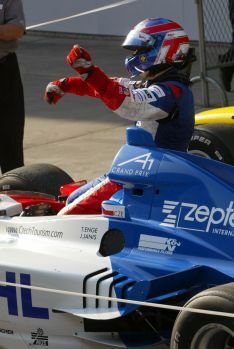 Having taken advantage of A1 Grand Prix’s unique driver rules, A1 Team France, this time with Nicolas Lapierre behind the wheel, made the best gain rising from seventh to fourth putting them back into contention for a final podium finish. A bad start for A1 Team Ireland was made even worse before the first lap was over. After a strong and determined performance in the Sprint race the luck of the Irish ran out as they came wheel to wheel with Indonesia on turn seven. 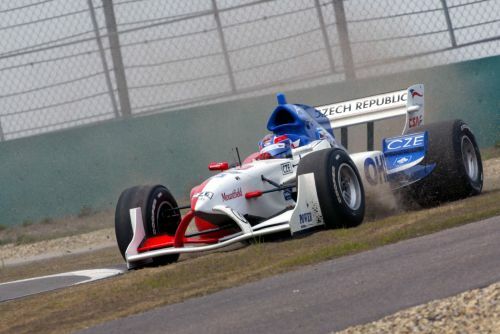 The green car flipped over the Indonesia, spinning several times before coming to a halt upside down in the gravel trap. As the safety car came out, every team took the chance to make their compulsory pit stop and as the entire field filed in, the pressure turned to the race crewsas they worked to get their car out ahead of its rivals. An excellent stop for Malaysia saw the bright yellow car pull out as other cars continued to head and smooth stops for Switzerland and Canada saw them move up from the back of the grid to ninth and tenth respectively. The safety car came in at the end of lap four and racing resumed with Malaysia leading the Czech Republic, Great Britain, Mexico, Australia, USA, New Zealand and Pakistan. But this order did not remain for long as the Czech Republic was quick to pounce on Malaysia making its move around the outside of turn one while Great Britain fell victim to Mexico and Australia. On lap six Great Britain suffered again, being the first to take a drive through penalty also given to Mexico and the USA for a false start. 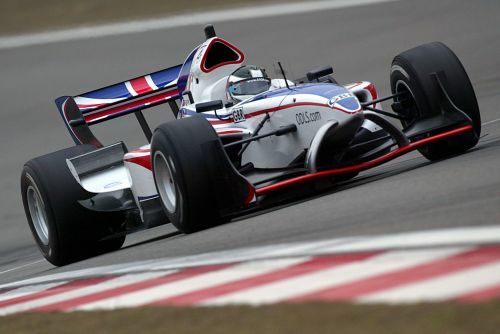 The penalty cost Great Britain a points position but having grabbed nine points in the Sprint race, their third place in the Series was confirmed. When all three teams had taken their penalties, the leading pack looked considerably different with the Czech Republic ahead of Malaysia, Australia, New Zealand, Pakistan, Canada, Italy and Lebanon. 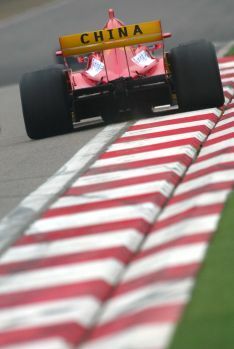 A1 Team France, slowed by a 1.54 minute pit stop which saw them drop to eighteenth at the end of the safety car session then began its climb up the field to an eventual sixth place finish, which they took on the penultimate lap by overtaking Canada at the end of the 1.1km straight. After taking Austria on lap six, Mexico, Switzerland, Portugal, Germany and China all fell victim over the next two laps. 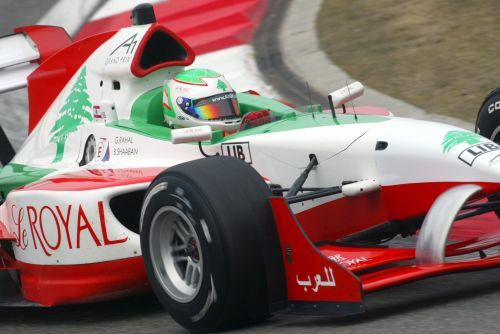 For Lebanon a point in this race would have meant a lot and they fought to the finish to try and achieve this. On lap 17, it was Mexico that slipped by to take ninth but after then it was on lap 23 that the team finally saw their hopes dashed when A1 Team USA snatched tenth, the last points paying position. Mexico made their final leap up the leader board into eighth by overtaking Italy on lap 25. For Italy, this was not the end of the affair but their driver’s hope of taking the place back again were dashed due to a spin of lap 26. Meanwhile, Portugal and Austria were disputing twelfth place. 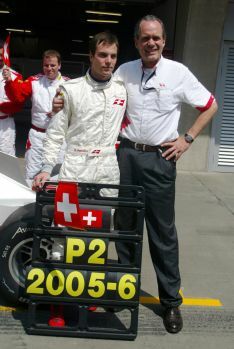 Even though they were both out of the points, this battle continued right to the chequered flag with newcomer to the Series Cesar Campanico finishing in front. The bonus point for the fastest race lap of the day went to A1 Team Malaysia who recorded a time of 1.52.508 on lap 14 of the Sprint race, with a speed of 174.4kph. 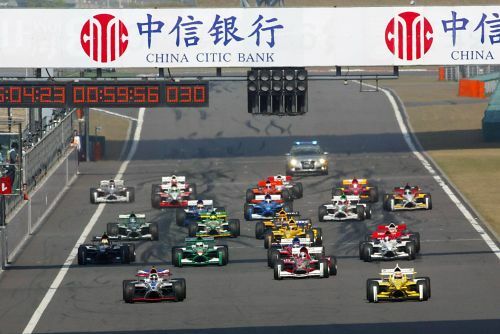 The A1 Grand Prix of Nations, Shanghai International Circuit, China was the last race in A1 Grand Prix’s inaugural season. 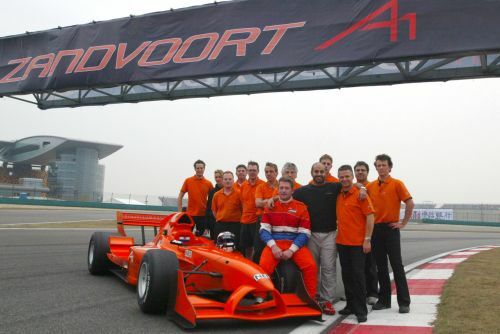 The first race of the second season will take place at Circuit Park Zandvoort, Netherlands on 29 September – 1 October 2006. Further details regarding other dates and venues will follow in due course. 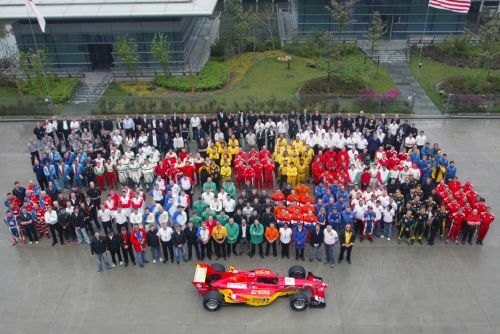 A1 GP SERIES CHINA - Seventh grid position creates possibilities for A1 Team Netherlands. 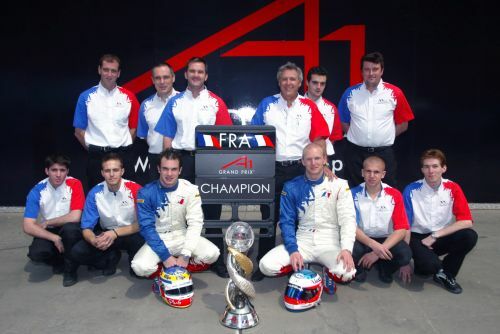 A1 GP SERIES - A1 Team France stormed to the first championship win of "The World Cup of Motorsport".